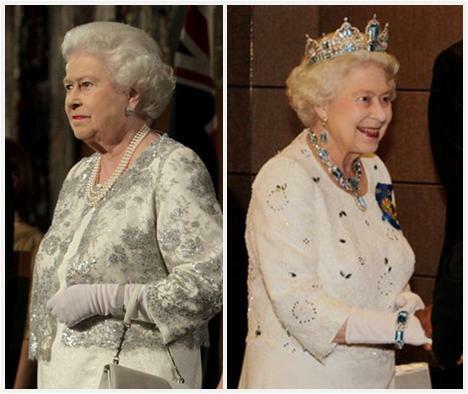 In October 2011, the Queen and Duke of Edinburgh headed out for an 11 day tour of Australia. The trip coincided with the Commonwealth Heads of Government Meeting in Perth. It was a jam-packed trip, which for us means one thing: loads of jewels. These of course were worn with her standard three strand pearl necklace and button earrings. There was a bit of evening fare, too. For a reception in Canberra, she sported Queen Mary's Cluster Earrings, a longer three strand pearl necklace, and one of her evening watches. For the CHOGM banquet, she wore the blue Sovereign Badge of the Order of Australia and along with that the blue of the Brazilian Aquamarine Parure - tiara, earrings, necklace, and bracelet. 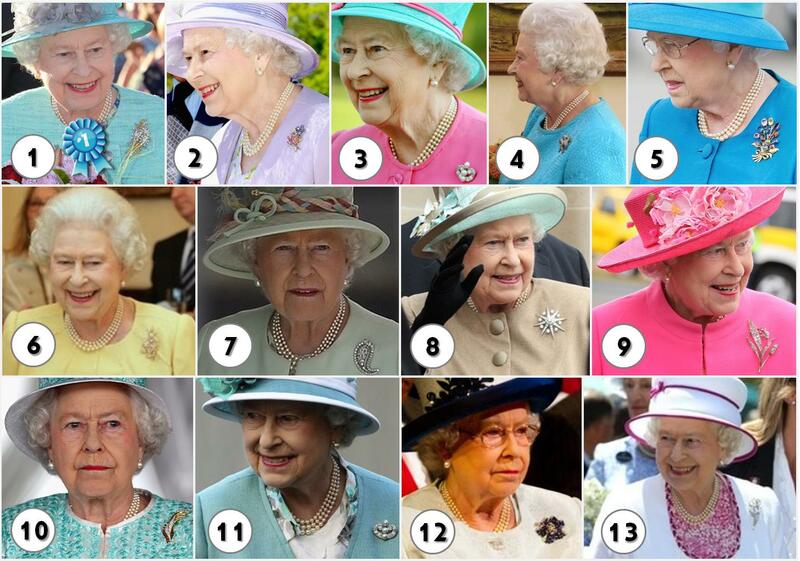 (A notable appearance as her selections of her colored stone tiara options are few and far between these days.) She also wore her Diamond Evening Watch. This trip was billed by many as the Queen's last trip to Australia - speculation, of course, as the palace wouldn't offer any insight there, though that speculation has become easier to believe in the time since. (It has already been announced that the Queen will skip CHOGM 2013 in Sri Lanka, sending the Prince of Wales in her place.) If it was indeed her last trip, it was quite a good one to go out on, no?